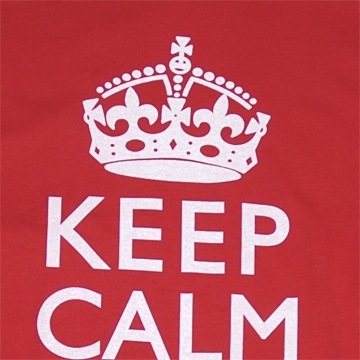 All our T-shirts and sweatshirts feature lettering faithful to the hand-drawn typography of the original World War II Keep Calm and Carry On poster discovered and popularised by Barter Books. 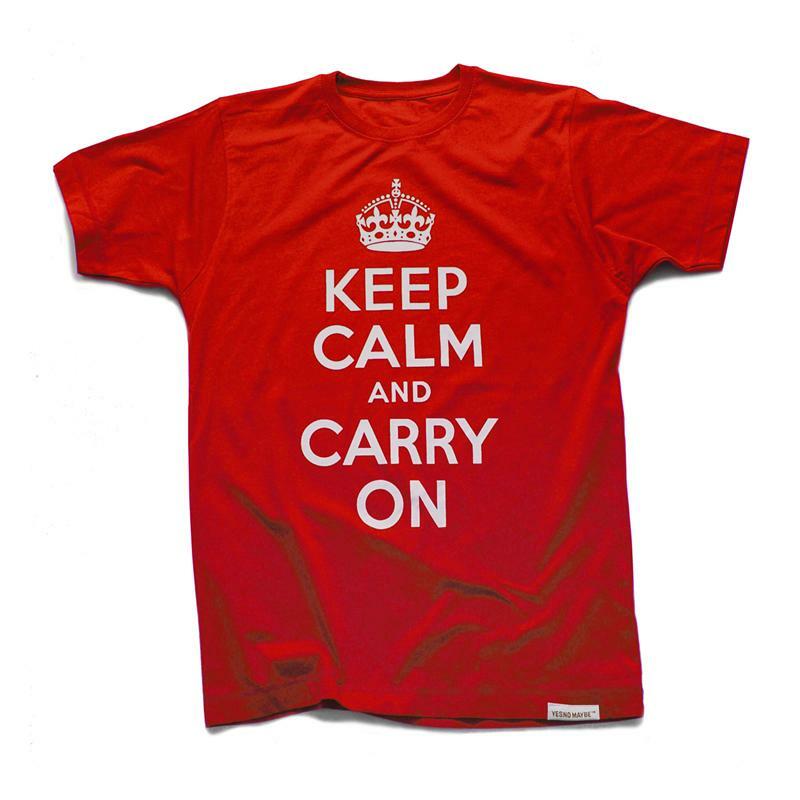 The Keep Calm and Carry On T Shirt. More relevant today than it ever was. The perfect Tee for any high pressure situation. This version is the original White on Red - bold and fresh. We bought our poster a few years ago from Barter Books - the home of the original World War ll poster. Now we stock them too! 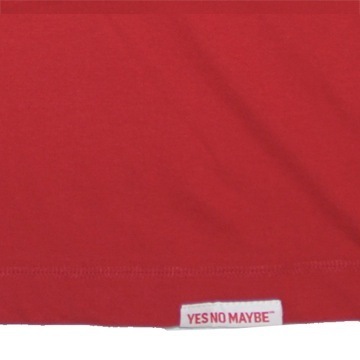 Beware — there are a few copycats out there… Always check for the white and red Yes No Maybe seam label on your T for Authenticity. As the saying goes: Keep Calm and Carry On! Some people prefer to say “keepcalmandcarryon”. Please note: Customers outside Europe pay less than advertised, as they don’t pay UK VAT. Also check out our rather excellent microsite dedicated to stocking our entire range of Original Keep Calm and Carry On T Shirts, Clothing, Posters and other accessories.